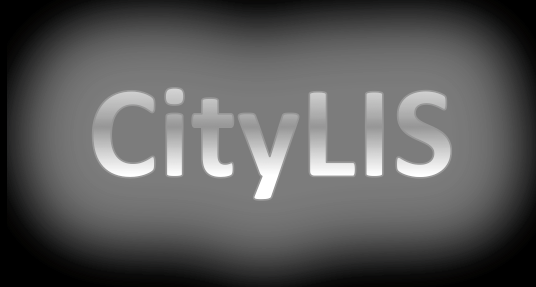 This post was originally published on the CityLIS blog. As technology becomes more interactive and digital information becomes more pervasive, theatre-makers are experimenting with new forms of audience participation. The potential technology has to distribute a performance over time and distance is collapsing medial boundaries. In this post, I explore how immersion no longer denotes just the spatial dynamics of a performance by including multiple forms of audience interactivity, which may well constitute new forms of collaboration and co-authorship. Immersive theatre has become a popular term in the UK over the past decade. It encompasses quite a broad range of performance practices, but at it’s most basic immersive theatre denotes performances that occur around the audience, who unlike in conventional theatre spaces experience the piece by moving inside a fictional world. But immersion does not just denote spatial characteristics. Participation is also a common trope, where artists aim to give audiences some agency over how they experience the story they are immersed inside of. We intend to do away with stage and auditorium, replacing them by a kind of single, undivided locale without any partitions of any kind and this will become the very scene of the action. Direct contact will be established between the audience and the show, between actors and audience, from the very fact that the audience is seated in the centre of the action and is encircled by it. This encirclement comes from the shape of the house itself. Abandoning the architecture of present-day theatres, we will rent some kind of barn or hangar rebuilt along lines of certain Tibetan temples (2001, p.74). A good example of the kind of space Artaud describes was Area 10. This former steel mill in Peckham, South East London was used as an art space in the late 2000s. It had no seating or any defined performance space. In 2009, I performed in Living Structures’ devised show Biosphere. The show began with the audience sat in a circle watching performers fertilising a plant with their excrement. Then, to a burst of choral singing, a different group of performers – which I was a part of – emerged from a plume of smoke, wearing nothing but white underpants and reindeer masks. Once the audience were ushered from the space, a large hessian tent was erected, which they were then free to explore. The inside of the tent was designed like a maze, with a series of installations located at certain nodes. The audience were given reindeer masks and hessian robes to wear. The costume was an attempt to deepen their immersion in the drama by making them part of the aesthetic environment and so become embedded in the narrative unfolding around them. Whilst Biosphere conforms to many of the conventions of immersive theatre in terms of environmental envelopment and physical proximity between actors and audience, it is more closely aligned with promenade theatre through it’s absence of audience participation. Save for the final third act when the audience explored the maze, much of the audience’s time was taken up with watching dramatic action unfold before and around them rather than taking part in it. This “taking part” can manifest on a number of levels, from direct and improvisational contact with characters, to making choices that determine how a performance unfolds for the individual and for the audience as a whole. A common characteristic of much immersive theatre is the fragmentation of dramatic narrative, which enables spectators to create their own version of the story. Punchdrunk’s The Drowned Man (2014) is the most elaborate piece of immersive theatre I have seen to date, both in terms of it’s scale and sheer detail. The world of The Drowned Man was one that could have been plucked from David Lynch’s imagination. Part abandoned movie set, part Americana dreamscape, part Frankensteinian nightmare, this was a world that I could never fully grasp. Yet it was the very impossibility of experiencing the drama in it’s entirety that drove my movement through it. This impulse is noted as a key characteristic of immersion in theatre by Josephine Machon, who frames it in terms of exploration: “Rediscovery is central to the experience: of space, narrative, character, theme, and sometimes even of unknown depths, or hidden emotions and memories specific to that individual participant”​ (2013, p.28). The version of The Drowned Man I experienced was not the same as my partner’s nor, indeed, anyone else who saw it. True, we inevitably saw some of the same scenes, but the order in which we experienced them in relation to what we had seen previously informed our interpretation of the overall narrative. The relationships between the characters was experienced out of sync or, rather, experienced as pieces of a puzzle we could not hope to assemble as a cohesive whole in a few hours. We can see, here, links between immersive theatre and the genre of open world games. Games like Skyrim (2011) and the Fallout series (1997-) allow players to explore highly elaborate worlds with far fewer limitations imposed on them than games that have a linear story structure. The lack of definite goal or quest in these games and The Drowned Man creates a far more tangible reality for the spectator or the player because they are not required to follow one path. Instead, they are given a choice of routes inside a virtual reality. Open worlds create many potential experiences for players compared with those that are available in linear game narratives. The ostensive freedom this structure affords audiences and players more closely aligns it with the experience of everyday life. The links between theatre and gaming can be developed further to address how immersive worlds are built as a collaborative partnership between actors and audiences. ZU-UK’s executive director Jorge Ramos discusses participation in the context of the “experience economy” where audiences, or “players”, act as co-authors of art live art works (2015, p.8). This was evident in ZU-UK’s six hour, overnight epic Hotel Medea (2009-2012). During this re-telling of the Medea myth, players frequently interacted with characters improvisationally. Ramos uses the term “micro-events” to describe these interactions to proffer an approach to immersive theatre that he expresses as “the dramaturgy of participation” (ibid, p.3). The degree of participation increased over the course of the performance in a way that allowed the audience to gradually become part of the story rather than as invertentionist elements. These micro-events can be understood as private or secret dramas known only to those who experience them. Participation in the context of immersion includes the building of imaginary worlds through interactivity. In this way, immersive performance “aims to provide, in everyday activities at the moment of the encounter, modest but pervasive communication, provisional social consensus and micro-utopias”​ (Harvie, 2013, p.7). Describing it in these terms might appear to exaggerate the impact immersive performance can potentially have on the real world until we remember that utopias are non-places of the imagination. The physical immersion in these fictional worlds allows audiences to temporarily inhabit societies that we may celebrate or fear. The popularity of immersive theatre is partly a product of our contemporary media ecology, which places interaction at it’s centre. Technologically mediated communication has become a significant part of everyday experience. Social media enables these interactions to stretch over time, distance, place and device, thus making the locus of communicative exchanges highly diffuse. Patrick Longeran argues that Facebook, Twitter and the like act as stages where we perform identities to a “network of followers”. When analysed in the context of theatre, online communication produces a distributed mode of performance which “can extend a production both temporally and spatially, pushing [performances] beyond the boundaries of the stage, and beyond the performance of the action in real time” (2015, pp.2-4). Moreover, interaction is not just a feature of the event, but constitutes the event itself:“What makes social media distinctive from other forms of digital performance is the extent to which interactivity is not just a context for reception, but a core element of the overall composition” (ibid, p.21). Blast Theory’s 2097: We Made Ourselves Over (2017) pushes the envelope of immersive theatre by spreading the immersive world in live and recorded iterations. 2097 presents a dystopian vision of Hull and the Danish city Aarhus following an ecological catastrophe. On 1st October 2017, every public telephone rang in Hull at 2pm. The audience listened to a voice from the future, Hessa, who invited them to record a message to send to her community about what they think is the most important thing to preserve from the present. The piece also consists of five short sci-fi films and one interactive film for smartphones. All of these different iterations act as portals into a fictional world that is embedded in reality through technology, and is therefore not confined to the spatial-temporal zone of live theatre.2097 is neither live or non-live (if we consider ‘live’ to denote physical proximity and ephemerality). It inhabits a temporal plane inbetween or outside of this binary. Charlie Gere argues that technology has become so embedded into reality that the term digital culture “risks becoming a tautology” (2008, p.7). Whilst the importance of maintaining body-to-body contact in theatre continues to be debated, it is undeniable that performance-makers are embracing the affordances of online communication to find new ways of engaging with audiences. Matt Adams argues that the “most significant characteristic of the ‘digital revolution’ is an explosive new amount of interaction and participation from what has gone before”​ (Adams in Blake, 2014, p.ix). The link he makes between interaction and participation is important to understand when discussing the kinds of activity immersive experiences engender in audiences. Immersion in theatre is an expanding term that is now encompassing communication networks. No single event exists in this form of immersion because it is composed of individual experiences that occur over time and distance. The immersive spaces of the performance are created by the participation of the audience. This idea resonates with Floridi’s notion of “onlife” – the merging of the digital and offline worlds to create the “infosphere” (2014). The immersive qualities of technology are beginning to be utilised by theatre and performance artists as a way of enriching how audiences can participate in their aesthetic experiences. Immersion in art could constitute a revolution in how theatre is not just experienced but also produced in collaboration with audiences. Moreover, it might allow us the opportunity to rehearse how we can live in a hyper-connected environment without becoming subsumed into a digital fugue of voices and images by providing temporary spaces for genuine intimacy and dialogue.